Looks like a really cool place. I envy all these experiences you\'ve had. 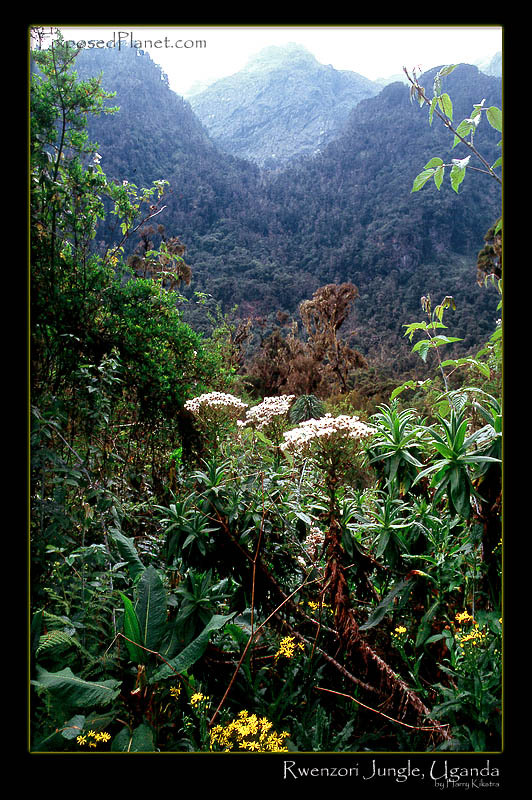 The story behind "Rwenzori forest in Uganda"
The Duke of Abbruzzi had to find his way through this dense jungle when he set out to find and climb the third highest peak of Africa. The track is wonderful, rough at times and just a fun hike at others, but always with very interesting scenery, flora and fauna. Though there has been trouble in Northern Uganda for many years (and still, at the Sudanese border), this western part is safe and a pleasure to visit. Shot on provia slide film with Eos 3 and likely 24-85mm in February 2005, scanned later.